Having a solar-powered grow room is essential to keeping your energy costs down for both commercial growing facilities and at home gardeners. These green-friendly growing setups make growing fresh, nutrient-rich food and medicinal plants easy and efficiently almost anywhere. With the addition of solar power to a hydroponic grow operation makes it one of the most energy-efficient, eco-friendly ways to grow nutrient-rich plants. Fortunately, with recent improvements in both solar technologies and hydroponic growing equipment you can build a grow room that is powered entirely by renewable energy. Solar prices have fallen in recent years, and many indoor hydroponic growers have taken advantage of offsetting their high electricity bills from running high powered HID and HPS lights and several LEDs with a cost-effective solar panel system. Cost Effective: Indoor grow rooms can use quite a bit of power if they are using various types of HID lights like metal halide, and high-pressure sodium which many growers prefer for higher crop yields. You may use super-efficient LEDs, but even they can double your power bill if you have a lot of them running for 12-18 hours a day. A solar power system is necessary to keep your power costs affordable. System Sizing: Several factors dictate what size solar system you need to meet your power requirements including what you’re growing, size of your growing operation and the type of lights you are using. 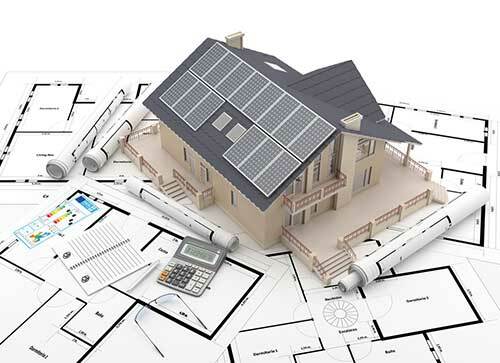 These factors allow us to configure the right amount of solar panels you need to compensate for your electrical usage. It’s Easy To Get Started! Just call us today or submit the form below and we will get back to you right away.